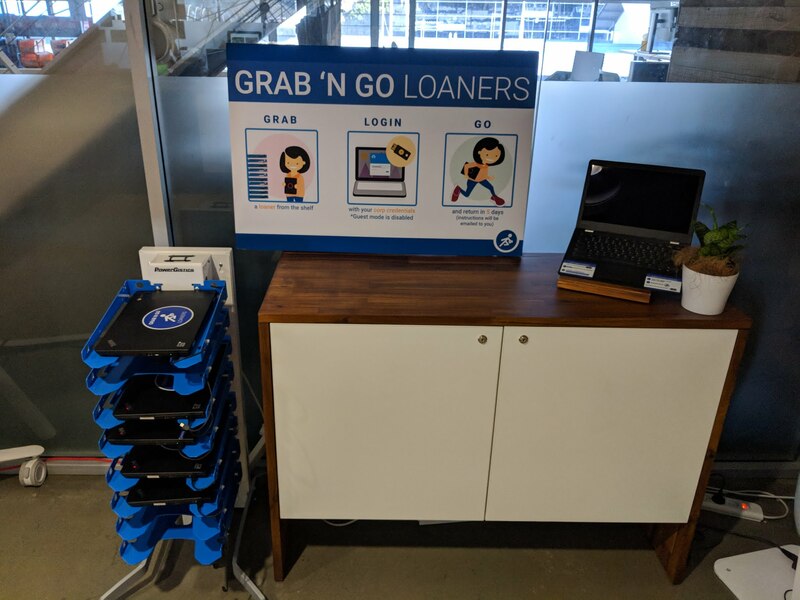 At Google, the company offers a ‘Grab and Go’ program that allows employees to use self-service stations to quickly borrow and return Chromebooks without having to go through a lengthy IT approval process. Now, it’s bringing this same idea to other businesses. Chromebooks have found their place in education and a number of larger enterprise companies are also getting on board with the idea of a centrally managed device that mostly focuses on the browser. That’s maybe no surprise, given that both schools and enterprises are pretty much looking for the same thing from these devices. At Google, the system has seen more than 30,000 users that have completed more than 100,000 loans so far. While Google wants others to run similar programs (and use more Chromebooks in the process) it’s worth noting that this is a limited preview program and that Google isn’t building and selling racks or other infrastructure for this. As a Google spokesperson told us, Google will give companies that want to try this the open source code to build this system and advise them through the setup and deployment. It will also engage with partners to help them build the hardware or set up a ‘Grab and Go’ as a service system. Employees who want to use one of these ‘Grab and Go’ stations simply pick up a laptop, sign in and move on with their day. When they are done, they simply return the laptop. That’s it. Easy. That’s not quite as exciting as Google building and selling racks of Chromebooks, but this project is clearly another move to bring Chromebooks to the enterprise. 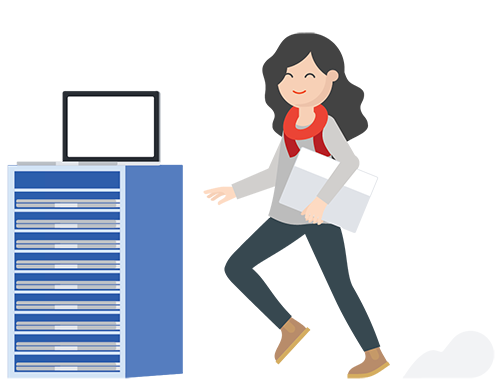 Specifically, Google says that this program is meant for frontline workers who only need devices for a short period of time, as well as shift workers and remote workers.